We will talk about hair conditioner for normal hair because when people have a sense of admiration of your hair, they often remark ‘oh wow!’. So what role does a conditioner play to enhance the natural beauty of the hair? Firstly, let’s probe into the definition of a hair conditioner. A conditioner simply means an additive or procedure which seeks to develop the usability or superiority of a substance. Once the hair is cleansed while shampooing, then the hair needs to be conditioned. A hair conditioner serves another purpose, it nourishes the hair and makes it look better. It supplies the much needed ‘moisture’ to even the outer layer of the hair (the cuticle). Since these cuticles are made up of overlying flaps this much needed flattening by the conditioner makes it smooth. So the overall hair acquires a sheen & glow. While using a particular hair conditioner, the ground rule is to choose the one in accordance with your hair type, unlike a shampoo, which is determined by the scalp type. Select a rich, moisturizing conditioner if your hair is dry & frizzy in nature. If the hair appears lame/limp & fine, choose a volumizing conditioner. Pick on a conditioner that is designed for normal hair. Purchase a distinct deep or leave-in conditioner & use it sparingly (say once a week). For finer hair, it’s advisable to wash it immediately, but for drier hair, leave it on for a longer duration. What are Deep Hair Conditioners? Deep hair conditioners battle against the obvious damage of chemical treatments, coloration of hair, environmental pollution and ill-effects caused by heat styling apparatus. When a deep hair conditioner is used normally, it assists in regaining the lost moisture and locks this moistness around each strand. This helps in making the hair appear shinier & suppler. Application of a deep hair conditioner is a must for chemically treated hair. It is mandatory to judge your hair and its specific needs before jumping to grab a bottle of a deep hair conditioner. There are different levels of conditioning which are apt for certain types of hair. Find the one that suits you the best, it’s recommended that you have a word about this selection with your hair stylist. After shampooing, dry your hair with a towel to absorb all the present moisture. Apply the conditioner in small amounts. The application should start at the forehead & end with the hair at the back of the head. One can apply little quantity more at the end of the hair. Massage for some time & rinse thoroughly. Everyone prefers a natural way to take care of their hair. Some of the most natural deep hair conditioners can be found at your kitchen shelf. Mayonnaise is a common example of that. Just comb the mayonnaise in your damp hair, wrap a towel around the head and leave it for at least 15-20 minutes, then, shampoo & rinse properly. Another natural ingredient which acts as a deep hair conditioner is avocados which are a rich source of vitamin B6 & vitamin E. They should be squashed together with mayonnaise & applied through the hair. Place a damp towel & keep the head covered till 20 minutes. It is always better to switch between different brands of conditioner regularly. This is useful in two ways; firstly, it helps the user to decide an optimum product for their hair. Secondly, the hair can become immune to the formulations of a specific brand resulting in accumulation of residue. 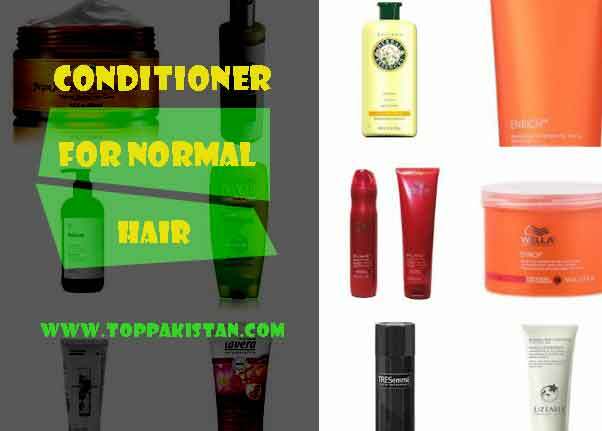 If you want to evade the harmful chemicals which may be present in the commercial conditioners or if you are out of stock of your favorite conditioner, then you can use natural hair conditioners like mayonnaise or olive oil. Allow cold water to run through your head after conditioning & rinsing. This will surely close all the pores of the hair, thus, retaining its moisture. To get a quick deep-conditioning while taking a bath, gently remove any excess water from your hair. Now dispense the conditioner evenly throughout the hair. After shampooing, replace the normal conditioner with hair cholesterol. Apply generously, making sure to avoid the roots. Leave for 5 minutes. Rinse very meticulously as the solution is thick. This method brings a natural shine to the hair.